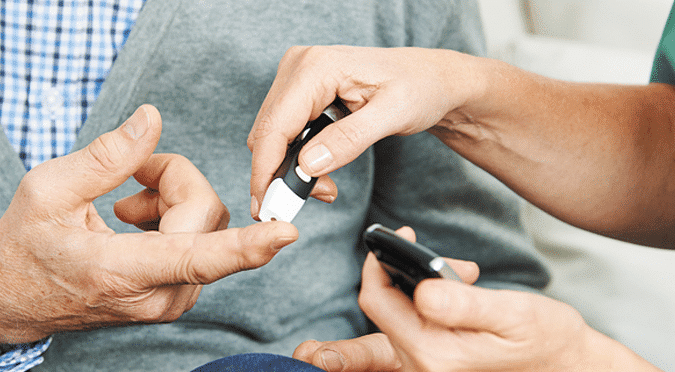 With the incidence of both Obesity and the eating of refined foods on the rise it is not surprising that diabetes is threatening to be a huge problem. If detected at an early stage, diabetes can be easily controlled and long-term damage to health can be minimized. At Pharmhealth we will use a machine to detect the levels of glucose (sugars) in your blood. Your daily food intake is partly made up of carbohydrates from which glucose is a part of. By measuring you sugar levels we can screen for the detection of diabetes. Your body produces a hormone, insulin, which is responsible for regulating the amount of sugar in your blood. When this hormone is not working properly your sugar levels in your blood can be too high or low. This can put you at risk of serious illness over the long term. How is the test undertaken? We take a finger prick sample of blood from your finger and place it in a machine for analysis. The results are obtained from the machine within a few minutes for further investigation. Your normal Blood glucose range should be aiming to be aiming towards 4 – 7 mmol/l before meals and around 8 mmol/l if testing 2 hours after meals. Depending on the results obtained you may not require any advice if within the normal range. If however, you are outside the normal range we discuss with you if further investigation is necessary.